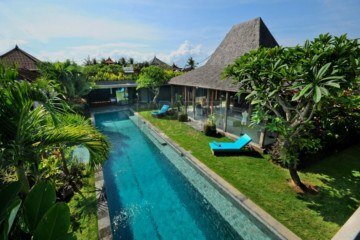 Look no further, this is the cutest Bali home in Berawa, Canggu. Suited perfect for a couple or small family who like to live in a private and quiet residence, though close to facilities, restaurants, spas, boutiques and the beach. From this property, it will take you a short 5 minute ride to Pantai Berawa and 45 minutes to Ngurah Rai International Airport. The property is nestled in a quiet street in Berawa with local and foreign residents as neighbours. The house comes with 2 spacious bedrooms with en-suite bathrooms, a covered terrace in the front, and an open kitchen and dining area, all furnished. 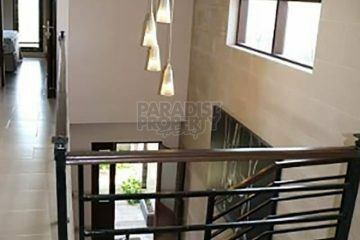 What is great about this home is the spacious lush garden with private jacuzzi. The idea of living in Bali with a private pool is what many are looking for, but who is really using a pool, when in your free time you’d rather go to the many beautiful beaches with great waves to surf? Unwinding at home is now very easy with your own jacuzzi, heated for the cooler evenings, with massage options to release sore muscles or a stressed mind, just like having a private spa in your garden. The property is available for annual rent, paid upfront per March 11th 2019. A longer term is also possible.